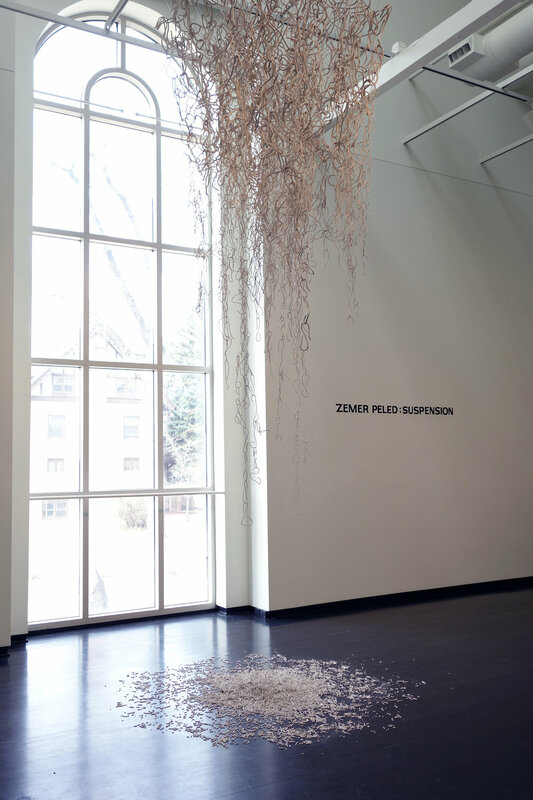 Zemer Peled’s Suspension, is a site-specific environment composed of delicately interlocked porcelain lines suspended in air. 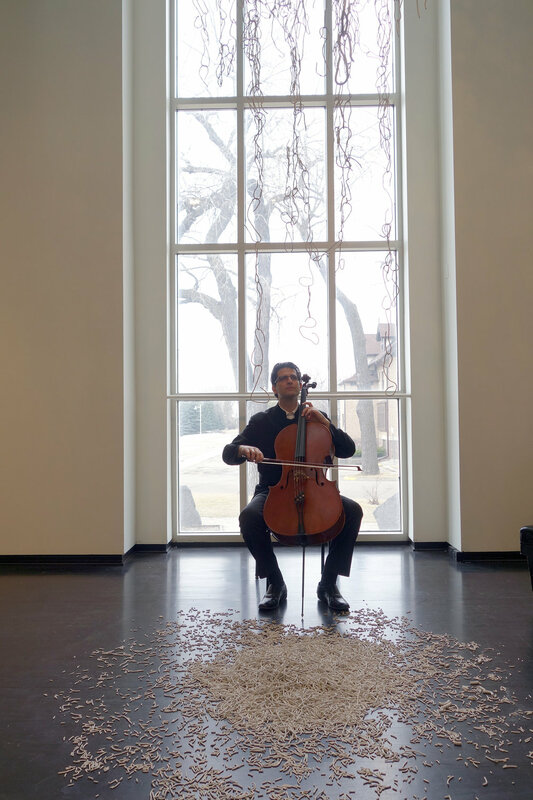 This installation is presented alongside brother Amit Peled’s cello program “Journey with My Jewishness” and provides a physical composition in dialogue with Amit’s musical compositions. 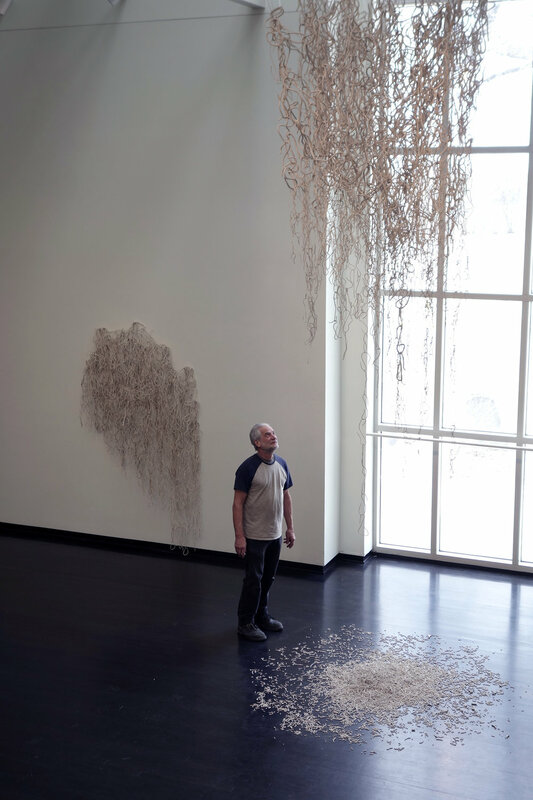 Just as the individual notes in a music rely on one another to create a whole, Zemer’s physical composition is composed of individual porcelain lines held together only by gravity to create a three-dimensional space. 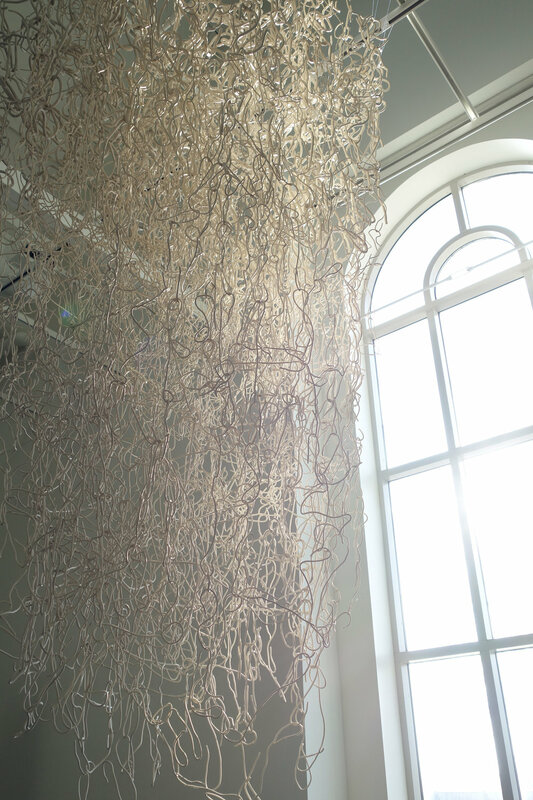 The process behind the installation is perilous: the artist adds the hooked porcelain fragments one by one, pushing the material to its limit to create a precarious yet sustained environment, manifesting the idea of musical notes sustained in time and space. As the installation grows more complex, the work is continuously in danger of collapsing from the weight of its own individual pieces.